Extremely rare video footage captured in the Amazon shows the last surviving member of an uncontacted tribe that was massacred in 1995. Dubbed the �World�s loneliest man�, he is surviving in a remote territory of Brazil. FUNAI, the Brazilian government�s Indian Affairs department, released the video of the man in Tanaru, a remote indigenous territory in Brazil�s Rondonia state. The territory covers just over 8,000 hectares. The indigenous people of Tanaru have been forced from their land and subjected to a series of brutal attacks by gunmen likely hired by colonists and ranchers. �In the 1980s, disorderly colonization, the establishment of farms and illegal logging in Rondonia led to repeated attacks on the isolated indigenous peoples who had lived there,� explained FUNAI, in a statement. By the mid-1990s, only six people were left in the man�s tribe, according to officials. The man caught on camera is the sole survivor of a vicious attack that killed the remaining five members of his tribe in 1995. FUNAI confirmed the man�s presence in 1996, but has been respecting his desire to avoid contact with mainstream society. Nonetheless, officials have spent the last 22 years monitoring the survivor�s territory to ensure that it remains protected. The last attempt to contact the man occurred in 2005, they said. Since then, a few tools and seeds for planting have been left in locations that he often passes. The team at R3store have been working very hard the past few months in preparation for their exciting new project which StockFootageOnline can finally reveal. There is no end in sight for lava flowing out of Hawaii�s Kilauea volcano that spilled out two months ago after the collapse of two active vents. The ever-present force of lava that destroyed hundreds of homes continues to flow into the ocean. 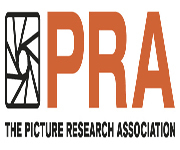 Prairie Pictures Aerial (PPA), the flying division of media production company Prairie Pictures, announced today that it will be offering the new Apple ProRes RAW on the DJI Inspire 2 cinematography drone starting today. How To Attract A Mate? There is nothing more mysterious than attracting a mate in the wild. View a rare glimpse of the secret life of wildlife. From the majestic beauty of courting Cuttlefish, to the strength and power of the great grizzly bears of Alaska, to the most fragile of butterflies in the Costa Rican rainforests, it takes a lot of hard work to attract a mate. NatureFootage goes beyond the courtship to show the intimate life of wildlife. It has been a fantasy of popular science fiction for decades � having a flying car to commute to work and have flying vacations. Flying car innovator Marcus Leng believes he can finally make it a reality. NASA�s spacecraft Cassini, which ended its life crashing into Saturn, has been nominated for an Emmy Award for the footage of its space voyage. Screenocean's pioneering One Search platform allows you to search across all of their represented collections in the same place for the first time, giving researchers a new and dynamic way to search for footage. NatureFootage is Social! Their clients often base story ideas on user generated content (UGC) they discover on social media channels. NatureFootage is always on the look out for the most striking and engaging videos to share. The Wildscreen Festival of Natural History films has announced its contenders for awards. The ocean epic, Blue Planet II, picked up seven nominations, in recognition of its stunning cinematography and jaw-dropping, never-before-seen animal behaviour. SpaceX plans to send the biggest and most powerful rocket ever built, the BFR, to Mars in 2022. But how do you transport it from the factory to Cape Canaveral? This video shows some interesting footage from the Saturn V moon project, showing how it was done in the 60s. Stunning footage emerges from the USGS scientists monitoring the continuous eruptions from the Kilauea Volcano in Hawaii. Field crews monitoring Fissure 8 captured this video of a whirlwind above the lava channel. A unique creature was thrown up by the sea at Laguna Oho de Libre, on the Northwestern Pacific coast of Mexico, in a part of the Viscaya Biosphere Reserve, a UNESCO world heritage site. The animal was two dead conjoined twin Grey Whales. Video taken between Monday night and Tuesday morning shows the escalation of the blaze that has devastated land on Saddleworth Moor. The fire, which started on Sunday night and reignited the next day amid Britain�s heatwave, has forced residents in Stalybridge, Greater Manchester, to leave their homes. The globally-recognised annual celebration of all things archive this year celebrated 49 nominations and bestowed 18 awards at the 15th FOCAL International awards, held at Troxy, London, 14th June 2018. Footage shot by hobby drone flyer James Tatham, of the North Wales coastline, captures idyllic landscape and coastline in all its glory. Marking the 70th anniversary of the foundation of the UK�s National Health Service (5th July 1948), the BFI launches NHS ON FILM. A central contribution to NHS70, a nationwide celebration, this unique online collection of rare films drawn from the BFI National Archive and The National Archives digs deep into the richly fascinating story of our NHS on screen, in film and television. From June 25th to 28th, 2018, French aerial footage specialist HOsiHO will exhibit at this important trade-show for documentary and non-fiction productions, held in La Rochelle, booth B28. R3el.com is a company for footage fanatics! Having purchased the Index Stock Shots collection, R3el now also hold the largest collection of NASA material available in HD. They also have Dirk Bogarde's personal home movie collection, available up to 4K.